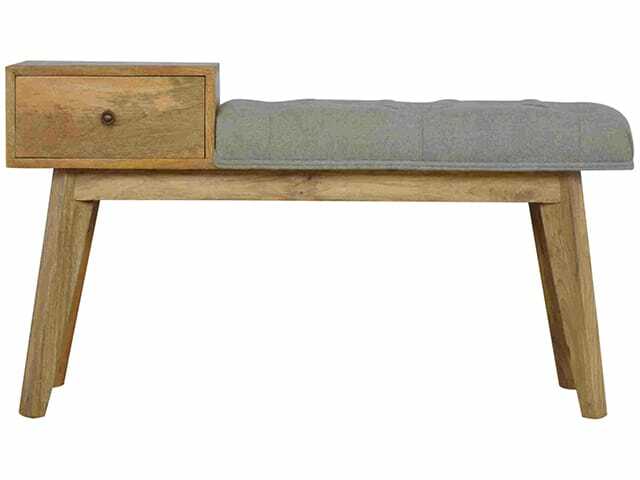 This Wooden Multi Tweed Telephone Bench is a practical piece of furniture for the hallway as well as the living room. 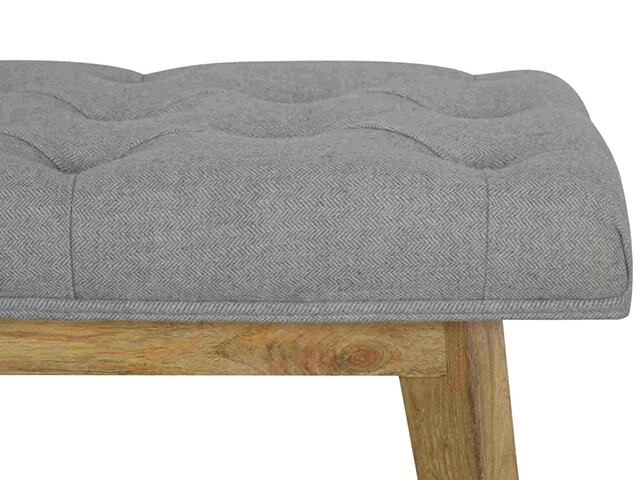 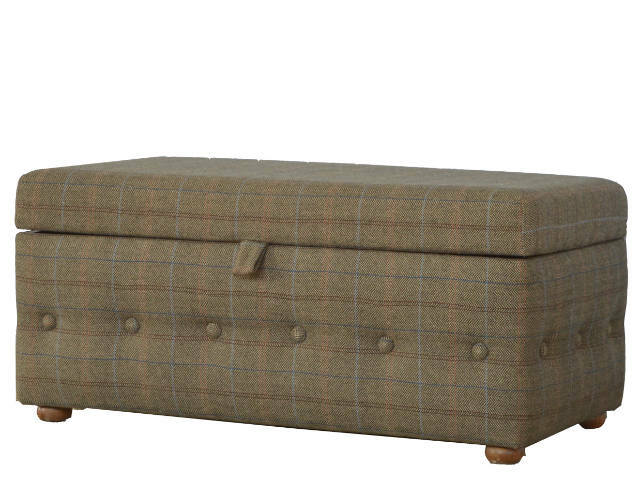 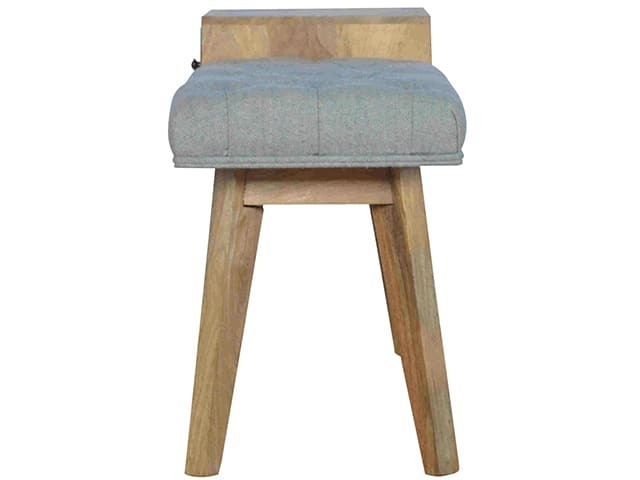 Constructed from 100% solid mango wood which has a fine oak-like finish and upholstered in grey tweed. 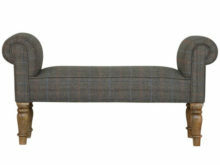 Lovely Tweed Telephone bench also includes 1 deep drawer with a shiny brass knob, and 4 Scandinavian styled legs. 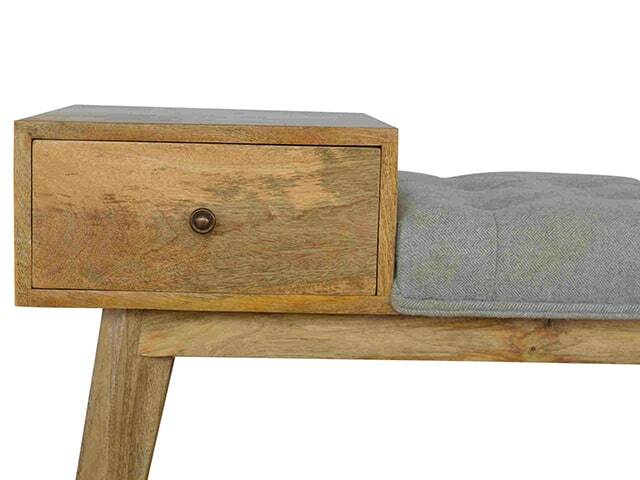 Timber Aftercare: Avoid placing your furniture under direct sunlight and/or near radiators. Also, occasionally polish the non-painted furniture parts with bees wax to retain sheen and for longer lifespan. 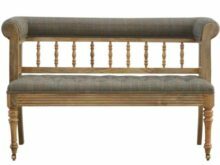 Fabric Aftercare: to remove everyday household dust and dirt, clean by gently vacuuming the fabric with an upholstery brush. 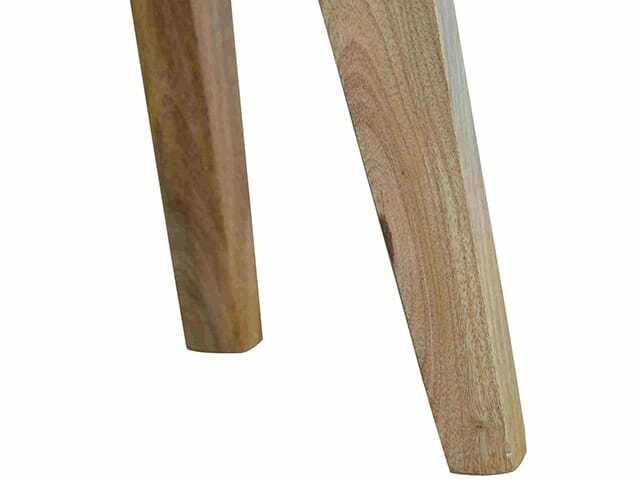 Clean periodically to maintain appearance and also to reduce premature wear and fading. 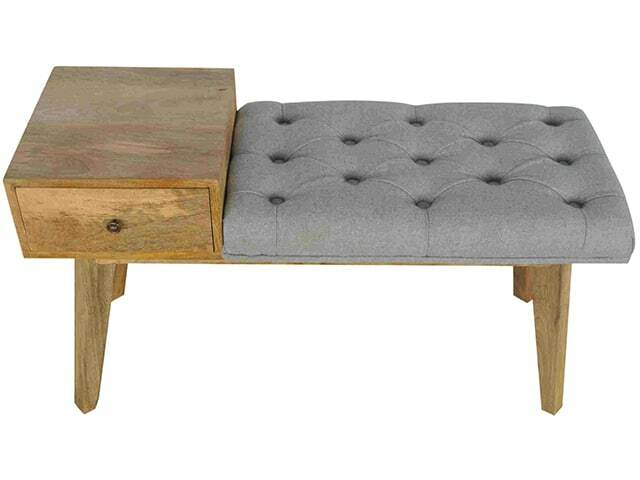 Weights and dimensions might vary from the given specifications. 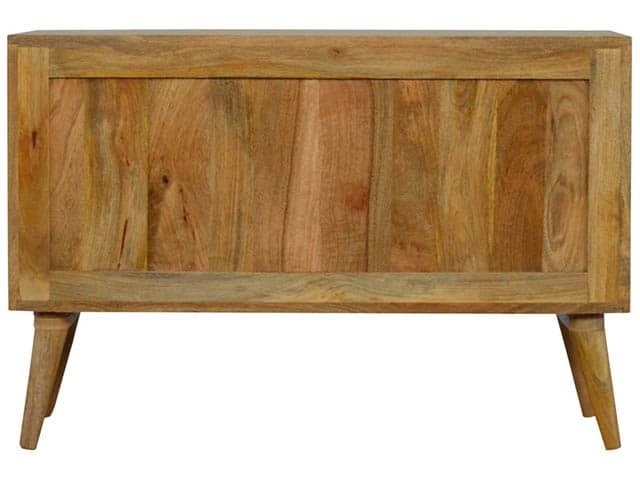 Skilled artisans hand craft these using 100% solid wood with no veneers or laminations whatsoever. 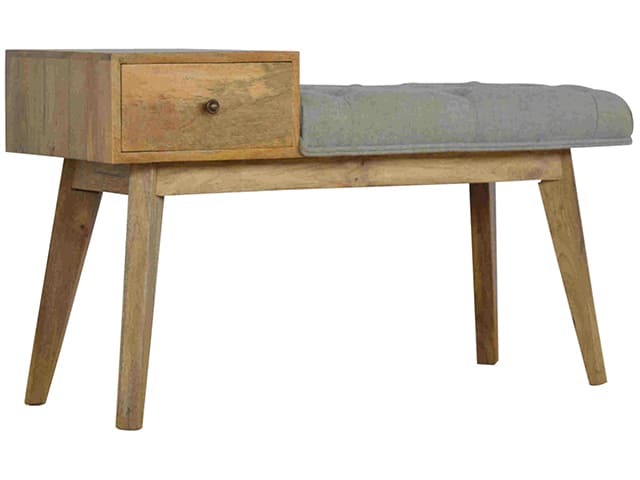 Thus, any grain patterns, knots, minor movements or variations are inherent in hand-crafted items.